The Elite Big Dog Bark Control Collar detects your dog's bark using patented Perfect Bark technology to ensure only your dog's bark causes the correction. As he barks, he receives a safe but annoying static correction. The bark collar begins with low corrections, and if barking continues the correction intensity will increase. When used correctly, the bark collar reduces (and in most cases eliminates) nuisance barking. Your dog will quickly learn the association and stop the unwanted behavior. For dogs 40 pounds and up, or up to 28 neck size. 10 levels of Light-Touch correction. Automatically adjusts to your dog's temperament. 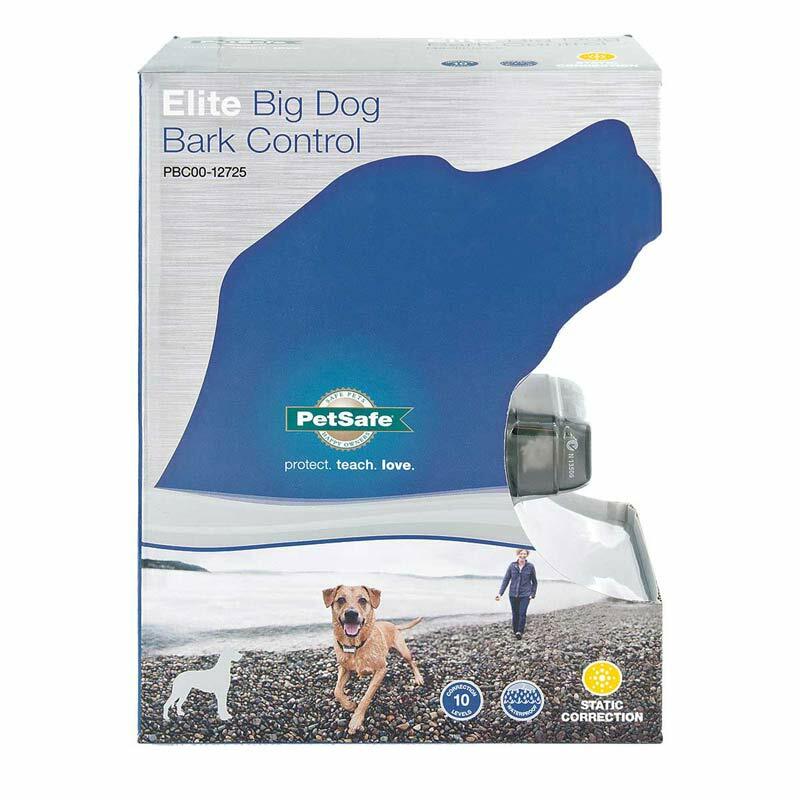 Patented Perfect Bark technology ensures only your dog's bark will cause the correction. Waterproof receiver collar. Two-color LED for good/low battery indicator. 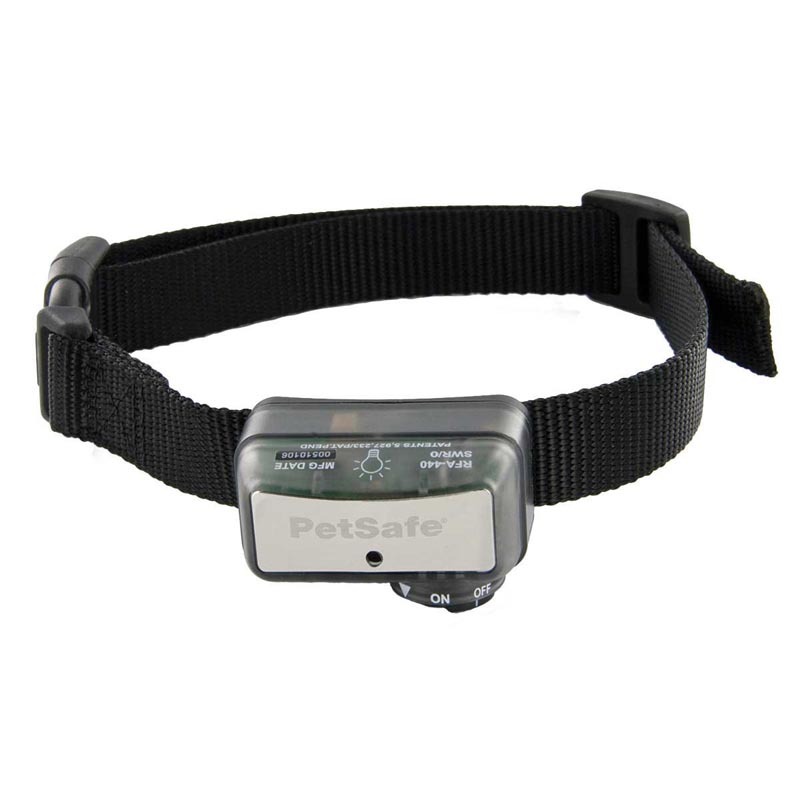 Collar uses PetSafe RFA-188 battery (included).